Discipline is difficult when a youngster has any type of mental or neurological illness. Not only do the old rules not always apply, you have to be flexible about behaviors that are due to your youngster's illness. Because bipolar disorder waxes and wanes, this is particularly hard to do if you want to maintain consistency. If your youngster is a rapid cycler, the challenge of responding properly is even bigger. 1. Avoid physical fights: Physical punishments (e.g., hitting, spanking, pushing, etc.) 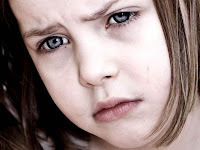 really have no place in managing the behavior of a child with bipolar, regardless of age. They simply teach that pain and force are a good way to impose your will on others, and that's not a lesson you want to teach someone who already has problems with impulsivity, limit-setting, and aggression. If you're having a hard time managing your youngster's behavior without getting physical, you're not alone. Almost every parent of a youngster with a bipolar has crossed the line sometime (and felt tempted to do so many more times). Reach out for help to increase your repertoire of techniques through consultation with a behavior expert, or with parenting training that is geared toward working with mentally ill kids. You should be able to access help through your school district, a government mental health agency, a hospital with a psychiatric care department, or private programs. 2. Avoid power struggles: Verbal abuse is very common during depressed or manic phases, and may occur at other times as well due to the increased impulsivity and thought errors that characterize bipolar. To the best of your ability, simply end the conversation, and refuse to react to taunts and insults. Realize that these words are coming out unbidden, and that your youngster will probably be shocked at what he has said later. Don't demand an apology on the spot, as it will only escalate the situation. Wait to discuss the verbal abuse later, when your youngster is well and calm. Don't be accusatory. Simply let him know that your feelings were hurt and that you love him anyway. 3. Be an example: Moms and dads of a bipolar youngster may occasionally find themselves about to "break" because of stress. These times of stress are prime opportunities for moms and dads to set a good example for the bipolar youngster. Hearing a parent say, "I am feeling angry and about to lose control of my thoughts and words, so I am going to go to my room and count to 10," demonstrates to the youngster that stress-relieving techniques are effective for everybody. 4. Build a support system: Try to build a personal support system made up of friends and family members, an online or in-person support group, or even a telephone crisis line for moms and dads. It's tough to discipline any strong-willed youngster, and having someone to talk to can really help you keep up the struggle without resorting to violence. This advice goes double for single moms and dads. 5. Choose battles wisely: The moms and dads of a bipolar youngster shouldn't completely stay away from disciplining the youngster's misbehavior, but the response to misbehavior may need to vary based on the cause. Moms and dads can become educated enough about bipolar to eventually be able to distinguish the difference between symptomatic behaviors and intentional bad behavior. Consequences for the outcome (e.g., going to "time out" for hitting) may still be the same, but moms and dads who know that their youngster's behavior is probably due to a manic episode should hold back on immediate lectures, or else the behavior may escalate instead of cease. 6. Be prepared for change: Disciplining teens is difficult under the best of circumstances, but it's doubly so when your child has mood swings and the other behavioral challenges associated with bipolar. The techniques that worked when your son or daughter was younger may seem babyish now, and physical control is tougher when your youngster is larger and more crafty about telling lies, slipping out of the house at night, and acting independently in the world. 7. Seek outside assistance: Don't be afraid to call in reinforcements (e.g., the parents of your youngster's friends, your neighbors, educators and other school personnel, mental health professionals, sometimes even the juvenile authorities) if your child’s behavior is bringing him into conflict with the law. 8. Establish rules: Standard discipline methods (e.g., time outs, grounding, taking away privileges, earning privileges, spanking, etc.) often do not work with bipolar kids. Nevertheless it is important to establish rules and abide by them. As with any youngster, stability is important, but for a bipolar youngster, stability is essential. Bipolar kids thrive on routine; however, for a parent of a bipolar youngster, providing that stability requires creativity and flexibility. 9. Protect yourself: Kids and teenagers with bipolar may themselves be physically abusive when in a depressed, manic, or mixed state, or even when a regular confrontation escalates into a tantrum or rage. Your first duty is to protect yourself and others from harm. This can mean removing the youngster to a time-out area, sending a teen to her room (and possibly locking her inside), using protective physical holds, and in some cases seeking emergency medical and/or law enforcement help. 10. Provide written rules: Write the rules down on paper so that when rules are broken, the argument of injustice is not valid. The agreed upon rules are simply being enforced. If rules are questioned after they have been written down, set up a family time to discuss them and perhaps change them. Remind a youngster that you are the parent and you will listen to their concerns, but ultimately it is your role and job to make the final decision. Expect a bipolar youngster to occasionally throw a tantrum after hearing “no.” It is not the time to enforce discipline when a youngster is in the middle of a tantrum. During a tantrum help him/her to get out of it. Hold him, make sure he is safe, restrain him if necessary, and help him choose wise ways of displaying his anger. Once he has calmed down, explain the rules that you had established on paper and enforce them with love. 11. Teach responsibility: Since bipolar is an illness, it causes a youngster to exhibit behaviors that are direct symptoms of that illness. Moms and dads of a bipolar youngster should take special care to separate the youngster from the disorder and its symptoms, instilling in the youngster that he isn't to blame for having those symptoms. On the other hand, moms and dads should expect that youngster to have some responsibility for the illness. 12. Use natural and logical consequences: Make sure that consequences you apply for misbehavior, willful or otherwise, fit the description of "natural and logical consequences." Bipolar kids have a passion for fairness that often escalates into yet another battle if the punishment does not fit the crime. Parent Effectiveness Training (PET) and similar programs for helping moms and dads of nondisabled kids improve their discipline strategies won't fit your needs entirely, but they can help you learn more about identifying natural and logical consequences. 13. Use positive reinforcement: Rather than punishing a bipolar youngster for bad behavior, focus on responding to good behavior with positive praise as well as some rewards. One example of a positive reinforcement system for moms and dads to use is a behavior chart that rewards the youngster with stickers for behaving well, with the ultimate goal of obtaining enough stickers to earn a prize such as a favorite dessert or a small desired toy. 14. Use proactive discipline: Moms and dads of bipolar kids shouldn't wait for behaviors to erupt before trying to employ discipline methods. Instead, they should consistently use preventative techniques (e.g., writing in a behavior diary to log and anticipate mood patterns, getting the youngster medical care on a regular basis, setting up a clear daily routine, etc.) in order to reduce instances of moodiness and misbehavior. 15. Use proper restraint procedures when needed: Knowing how to physically control your youngster safely is a must. Improper physical restraint can injure. Ineffective holds only end up causing harm to you or others in the vicinity. Surprisingly, your relative size doesn't make much difference if you know the right techniques. Call the nearest colleges and find one that offers a psychiatric nursing program. Ask them about Professional Assault Response Training (PART) or similar programs that teach psychiatric nurses how to protect themselves from violent patients. The PART program is usually a two-day course, and can teach you several physical control techniques that will be both effective and safe for your youngster or teen. You may also be able to access PART training or a similar course through your local mental health department, a hospital that has a psychiatric staff, or even a police department. Your youngster's teacher or classroom aide may also need to have this training. However, if you are using physical holds or locking your youngster in a room for protection, you do run the risk of being investigated by child protective services. In fact, some troubled young people use allegations of child abuse to get revenge on their moms and dads. Your best strategy is to be proactive. Consult with your youngster's medical team, and have them put their emergency recommendations in writing. Get training, be careful, stay calm and kind, and if you are contacted by the authorities, bring in your experts to help. 16. Use a signal: Another preventative measure may be teaching a youngster a signal that can help parents and educators recognize when he needs to take a "self time-out" (e.g., he may be allowed to leave something on his school desk that discreetly says, "I'm going to an agreed upon safe place to take a breather for a few minutes"). 17. Use medication: Moms and dads may also decide to obtain preventative emergency tranquilizing medications from their youngster's doctor. The methods above sound so simple – though it is anything but. The road of parenting a bipolar youngster is difficult. There is no set way that works for every youngster. It is a game of trial and error. Flexibility is essential as a bipolar youngster is an individual whose personality is constantly changing. One method may work one day – and the very next day – the same method will not. Thanks for the excellent list of tools for what is most defiinitey the toughest job you will ever have. I speak from the experience of having 3 children with high risk of the illness. All but one (number 15) of these were in our repertoire as parents. It takes professional and non-professional help to raise bipolar children. Pray and seek the help. Having nannied for a kid with PTSD and dated 2 bipolar guys, I believe that the worst thing you can do is not hold them to their actions. While it's tough, there is no excuse for abuse. I think some of the worst bipolar parents are the ones who enable by saying, it's the illness talking, he doesn't mean it, etc and allowing things like drink and drugs. IF a child goes manic: Stay around, monitor them and be prepared for a hospital stay. But, once the episode has died down, don't drop it. Discuss their behavior and the effects on others and maybe take a privilege away for awhile. Make them earn it back by taking meds, being respectful, etc. This probably won't completely stop the episodes, but if you teach them to use their illness as a get out of jail free card, they will and will expect it from others too. DisciplineForTeens.com. Awesome Inc. theme. Powered by Blogger.